Many moons ago I met Dai Stanton and we struck a bond by way of eerily similar tastes. I started playing Hammond organ in my early twenties and ended up in a band that featured Dai on bass. Actually, Dai was officially the Hammond player himself, but that's another very convoluted tale, riddled with deceit. Through the years, Dai and I would sit plotting a different kind of a band to the usual "Woke up this morning..." pub/club blues circuit fare. The blueprint was a song-based set where we would interpret our favourites from the likes of Van Morrison, The Band, Nick Lowe.. you get the picture. One of us (I think it was me) suggested we might even try our hand at writing some songs of our own to perform. Crikey. We set about assembling a cast and, in pursuit of a tasteful guitarist (we both know and love many of the finest players around, but figured they'd get bored in our song-led combo) I quipped "We need someone like Brinsley Schwarz". A fixture at one of our local music shop haunts, Brinsley was easy to find and liked the concept, graciously coming out of retirement for a while. The project mutated - Dai all but retired from music for a few years due to work commitments - into "Cahoots" but it fell apart shortly after. Brinsley quit playing again to concentrate on doing his house up and retiring; Tex Comer (by then on bass and still a close friend and colleague) became involved in a reunion of his old band Ace (yep, the "How Long?" boys) and I got married and upped the ante in my day job. A great band that had the fatal flaw of happening at just the wrong time for those involved! I continued gigging on the blues circuit (and still do - see my own site) and the band concept lay idle a while. Dai remained retired but a garden party gig in his cul-de-sac of residence meant a low key engagement for the two of us plus my dear wife Vic on harmonica. A renewed interest in stoking up the old concept ensued, although Dai would not recommence full time involvement until 2007. By this time I had started working with guitarist Geoff Nicholson, having met him via our mutual friend, vocalist Pete Bedford. With Dai back in the fold, we were off. The plan was to record my first album with a mix of interesting covers and originals, and the ability of Geoff, Dai and I to all double on at least two other instruments led the project to become increasingly eclectic and less of a straight guitar/organ band. An old friend and colleague Tristan Rich joined on drums and vocals, finally the lack of bass parts recorded versus home studio gadgets bought indicated that Dai was increasing more into the creative side of the process than the performance and while he remains co-producer and always on hand for the right occasion, Malcolm Hoskins completes the quartet on bass. It was a reflection of the rootsy nature and seeing some of those lovely old travel/transport posters that triggered the name London Country, initially as the album title but it became obvious that it was a good name for the project in general. 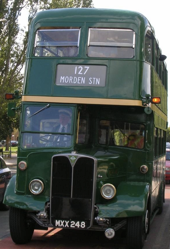 London Country, like the old green buses of yore, is all about the suburbs not the "smoke" itself; our home and sound. We continue work on the album and look forward to getting out and promoting it with live shows. Here's hoping a few people enjoy our blend of music! Well, it’s nearly Christmas dear, and the album still isn’t done! Geoff was/is a founder member of East of Eden?